3-monochloropropane 1,2-diol (3-MCPD) and glycidyl are food-based contaminants that occur during process. 3-MCPD was classified as possibly carcinogenic to humans (group 2B) and glycidyl was classified as genotoxically carcinogenic to humans (group 2A) by International Agency for Research on Cancer (IARC). 3-MCPD and glycidyl components were detected in various food groups such as acid-hydrolyzed vegetable proteins, soy sauces, infant formulas, snack foods like chips, coffee. One of the most susceptible food group is refined edible oils for 3-MCPD and GE presence since, oils are widely used for various purposes in many food products. 3-MCPD and GE may be formed in oils that are processed at high temperatures during oil refining. Mitigation of 3-MCPD and GE is a crucial issue in terms of food safety. This study focused on chemical structure, formation mechanism, effects of process contaminants on human health, legal regulations and mitigation strategies. 3-monokloropropan 1,2-diol (3-MCPD) ve glisidil bileşenleri proses esnasında oluşan gıda kaynaklı kontaminantlardandır. Uluslararası Kanser Araştırma Ajansı (IARC) tarafından 3-MCPD karsinojen (grup 2B); glisidil ise genotoksik karsinojen (grup 2A) olarak tanımlanmaktadır. 3-MCPD ve glisidil bileşenleri; asitle hidrolize edilmiş sebze proteinleri, soya sosları, bebek mamaları, kızarmış patates ve benzeri atıştırmalık gıdalar, kahve gibi çeşitli gıda gruplarında bulunmaktadır. Rafine bitkisel yağlar birçok farklı gıda grubunun önemli bir bileşeni olmalarından dolayı 3-MCPD ve GE varlığı açısından en riskli ürün gruplarından biridir. Rafinasyon işlemi sırasında yüksek sıcaklıkta işlem gören yağlarda 3-MCPD ve GE oluşabilmektedir. Sağlık üzerine etkileri düşünüldüğünde, 3-MCPD ve GE’nin azaltılması önemli bir çalışma konusu haline gelmiştir. Bu çalışmada kontaminantların kimyasal yapısı, oluşum mekanizması, sağlık üzerine etkileri, yasal düzenlemeler ve azaltılmasına yönelik yapılan çalışmalar incelenmiştir. Abraham, K., Appel, K.E., Berger-Preiss, E., Apel, E., Gerling, S., Mielke, H., Creutzenberg, O., Lampen, A. (2013). Relative oral bioavailability of 3-MCPD from 3-MCPD fatty acid esters in rats. Archives of Toxicology, 87: 649-659. Andres, S., Appel, K.E., Lampen, A. (2013). Toxicology, occurrence and risk characterisation of the chloropropanols in food: 2-monochloro-1,3-propanediol, 1,3-dichloro-2-propanol and 2,3-dichloro-1-propanol. Food and Chemical Toxicology, 58: 467-478. Aniolowska, M., Kita, A. (2015). The effect of type of oil and degree of degradation on glycidyl esters content during the frying of french fries. Journal of American Chemists’ Society, 92: 1621-1631. AOCS (2013). Official Method Cd 29a-13: 2- and 3-MCPD fatty acid esters and glycidol fatty acid esters in edible oils and fats by acid transesterification. 7th Edition, Washington DC, USA. Arisseto, A.P., Marcolino, P.F.C., Augusti, A.C., Scaranelo, G.R., Berbari, S.A.G., Miguel, A.M.R.O., Morgano, M.A., Vicente, E. (2017b). Contamination of fried foods by 3-monochloropropane-1,2-diol fatty acid esters during frying. Journal of American Chemists’ Society, 94: 449-455. Arisseto, A.P., Willian, C.S., Scaranelo, G.R., Vicente, E. (2017a). 3-MCPD and glycidyl esters in infant formulas from the Brazilian market: Occurrence and risk assessment. Food Control, 77: 76-81. Bakhiya, N., Abraham, K., Gürtler, R., Appel, K.E., Lampen, A. (2011). Toxicological assessment of 3-chloropropane-1,2-diol and glycidol fatty acid esters in food. Molecular Nutrition and Food Research, 55: 509-521. Belkova, B., Hradecky, J., Hurkova, Forstova, V., Vaclavik, L., Hajslova, J. (2018). Impact of vacuum frying on quality of potato crisps and frying oil. Food Chemistry, 241: 51-59. Cheng, W., Liu, G., Liu, X. (2016). Formation of glycidyl fatty acid esters both in real edible oils during laboratory-scale refining and chemical model during high temperature exposure. Journal of Agricultural and Food Chemistry, 64: 5919-5927. Cheng, W., Liu, G., Liu, X. (2017). Effects of Fe+3 and antioxidants on glycidyl ester formation in plant oil at high temperature and their influencing mechanism, Journal of Agricultural and Food Chemistry, 65: 4167-4176. Craft, B.D., Chiodini, A., Garst, J., Granvogl, M. (2013). Fatty acid esters of monochloropropanediol (MCPD) and glycidol in refined edible oils. Food Additives and Contaminants: Part A, 30(1): 46-51. Destaillats, F., Craft, B.D., Sandoz, L., Nagy, K. (2012). Formation mechanism of monochloropropanediol (MCPD) fatty acid diesters in refined palm (Elaeis guineensis) oil and related fractions. Food Additives and Contaminants, 29(1): 29-37. EFSA (2001). Opinion of the scientific Committee on food 3-monochloro-propane-1,2-diol (3-MCPD) updating the SCF opinion of 1994. European Food Security Agency, Directorate-General Health and Consumer Protection, 1-5. EFSA (2004). Collection and collation of data on levels of 3-monochloropropanediol (3-MCPD) and related substances in foodstuffs. European Food Security Agency, Directorate-General Health and Consumer Protection, 1-56. EFSA (2009). 3-MCPD esters in food products. European Food Security Agency, Summary Report of a Workshop held in February 2009 in Brussels, Belgium, 1-36. EFSA (2013) Analysis of occurrence of 3-monochloropropane-1,2-diol (3-MCPD) in food in Europe in the years 2009-2011 and preliminary exposure assessment. EFSA Journal, 11(9): 3381-3426. EFSA (2014). Commission recommendation of 10 September 2014 on the monitoring of the presence of 2 and 3-monochloropropane-1,2-diol (2 and 3-MCPD), 2- and 3-MCPD fatty acid esters and glycidyl fatty acid esters in food. Official Journal of the European Union, L 271/93: 1-3. EFSA (2015). Opinion of the scientific commitee on food on 3-monochloropropan 1,2-diol (3-MCPD). European Food Security Agency, Scientific Commiteee on Food, 1-5. EFSA (2016). Risks for human health related to the presence of 3- and 2-monochloropropanediol (MCPD), and their fatty acid esters, and glycidyl fatty acid esters in food. EFSA Panel on Contaminants in the Food Chain (CONTAM), EFSA Journal, 14(5): 4426. EFSA (2018). Revised safe intake for 3-MCPD in vegetable oils and food. EFSA Panel on Contaminants in the Food Chain (CONTAM). https://www.efsa.europa.eu/en/press/news/180110 (Accessed: 03 March 2018). Ermacora, A., Hrncirik, K. (2013). Anovel method for simultaneous monitoring of 2-MCPD, 3-MCPD and Glycidyl esters in oils and fats. Journal of American Chemists’ Society, 90: 1-8. Ermacora, A., Hrncirik, K. (2014). Influence of oil composition on the formation of fatty acid esters of 2-chloropropane-1,3-diol (2-MCPD) and 3-chloropropane-1,2-diol (3-MCPD) under conditions simulating oil refining. Food Chemistry, 161: 383–389. Franke, K., Strijowski, U., Fleck, G., Pudel, F. (2009). Influence of chemical refining process and oil type on bound 3-chloro-1,2-propanediol contents in palm oil and rapeseed oil. Food Science and Technology, 42: 1751-1754. Freudenstein, A., Weking, J., Matthaus, B. (2013). Influence of precursors on the formation of 3-MCPD and glycidyl esters in a model oil under simulated deodorization conditions. European Journal of Lipid Science and Technology, 115: 286-294. Garballo-Rubia, A., Soto-Chinchilla, J., Moreno, A., Zafra-Gomez, A. (2017). A novel method for the determination of glycidyl and 3-monochloropropanediol esters in fish oil by gas chromatography tandem mass spectrometry. Talanta, 165: 267–273. Gümüşkesen A.S., Yemişçioğlu F. (2010). Bitkisel Sıvı ve Yağ Üretim Teknolojisi. Ege Üniversitesi Gıda Mühendisliği Bölümü, İzmir, Türkiye, 215 s.
Hamlet, C.G., Asuncion, L., Velisek, J., Dolezal, M., Zelinkova, Z., Crews, C. (2011). Formation and occurrence of esters of 3-chloropropane-1,2-diol (3-CPD) in foods: What we know and what we assume. European Journal of Lipid Science and Technology, 113: 279–303. Hammouda, I.B., Zribi, A., Mansour, A.B., Matthaus, B., Bouaziz, M. (2017). Effect of deep-frying on 3-MCPD esters and glycidyl esters contents and quality control of refined olive pomace oil blended with refined palm oil. European Food Research and Technology, 243: 1219-1227. IARC (2000). Glycidol. https://monographs.iarc.fr/ENG/Monographs/vol77/mono77-19.pdf (Accessed: 03 March 2018). IARC (2012). 1,3-Monochloro-1,2-propanediol. https://monographs.iarc.fr/ENG/Monographs/vol101/mono101-010.pdf (Accessed: 03 March 2018). JECFA (2016). Evaluations of contaminants. Summary report of the eighty-third meeting of the Joint FAO/WHO Expert Committee on Food Additives (JECFA), 83: 5-7. Jedrkiewicz, R., Glowacz, A., Gromadzka, J., Namiesnik, J. (2016). Determination of 3-MCPD and 2-MCPD esters in edible oils, fish oils and lipid fractions of margarines available on Polish market. Food Control, 59: 487-492. Leigh, J., MacMahon, S. (2017). Occurrence of 3-monochloropropanediol esters and glycidyl esters in commercial infant formulas in the United States. Food Additives and Contaminants: Part A, 34(3): 356-370. Li, C., Li, L., Jia, H., Wang, Y., Shen, M., Nie, S., Xie, M. (2016a). Formation and reduction of 3-monochloropropane-1,2-diol esters in peanut oil during physical refining. Food Chemistry, 199: 605–611. Li, C., Nie, S., Zhou, Y., Xie, M. (2015). Exposure assessment of 3-monochloropropane-1,2-diol esters from edible oils and fats in China. Food and Chemical Toxicology, 75: 8-13. Li, C., Zhou, Y., Zhu, J., Wang, S., Nie, S., Xie, M. (2016b). Formation of 3-chloropropane-1,2-diol esters in model systems simulating thermal processing of edible oil. Food Science and Technology, 69: 586-592. Matthaus, B., Pudel, F. (2013). Mitigation of 3-MCPD and glycidyl esters within the production chain of vegetable oils especially palm oil. Lipid Technology, 25(7): 151-155. Merkle, S., Ostermeyer, U., Rohn, S., Karl, H., Fritsche, J. (2018). Mitigation strategies for ester bound 2-/3-MCPD and esterified glycidol in pre-fried breaded and frozen fish products. Food Chemistry, 245: 196-204. Özdikicierler, O. (2016b). Zeytinyağı ve pirina yağında 3-MCPD oluşumu üzerine su buharı distilasyon koşullarının etkisi. Ege Üniversitesi Fen Bilimleri Enstitüsü Gıda Mühendisliği Anabilim Dalı Doktora Tezi, İzmir, Türkiye, 3 s.
Özdikicierler, O., Yemişçioğlu, F., Saygın Gümüşkesen, A. (2016a). Effects of process parameters on 3 MCPD and glycidyl ester formation during steam distillation of olive oil and olive pomace oil. European Food Research and Technology, 242: 805-813. Pudel, F., Benecke, P., Vosmann, K., Matthaus, B. (2016). 3-MCPD- and glycidyl esters can be mitigated in vegetable oils by use of short path distillation. European Journal of Lipid Science and Technology, 118: 396-405. Rahn, A.K.K., Yaylayan, V.A. (2011). What do we know about the molecular mechanism of 3-MCPD ester formation? European Journal of Science and Technology, 113: 323-329. Ramli, M.R., Siew, W.L., Ibrahim, N.A., Kuntom, A., Razak, R.A.A. (2015). Other factors to consider in the formation of chloropropandiol fatty esters in oil processes. Food Additives and Contaminants: Part A, 32(6): 817-824. Smidrkal, J., Tesarova, M., Hradkova, I., Bercikova, M., Adamcikova, A., Filip, V. (2016). Mechanism of formation of 3-chloropropan-1,2-diol (3-MCPD) esters under conditions of the vegetable oil refining. Food Chemistry, 211: 124–129. Strijowski, U., Heinz, V., Franke, K. (2011). Removal of 3-MCPD esters and related substances after refining by adsorbent material. European Journal of Lipid Science and Technology, 113: 387-392. Tiong, S.H., Saparin, N., Teh, H.F., Ng, T.L.M., Zain, M.Z.M., Neoh, B.K., Noor, A.M., Tan, C.P., Lai, O.M., Appleton, D.R. (2018). Natural organochlorines as precursors of 3-monochloropropanediol esters in vegetable oil. Journal of Agricultural and Food Chemistry, 66: 999-1007. Velisek, J., Davidek, J., Kubelka, V., Janicek, G., Svobodova, Z., Simicova, Z. (1980). New Chlorine-Containing Organic Compounds in Protein Hydrolysates. Journal of Agricultural and Food Chemistry, 28: 1142-1144. Vicente, E., Arisseto, A.P., Furlani, R.P.Z., Monteiro, V., Gonçalves, L.M., Pereira, A.L.D., Toledo, M.C.F. (2015). Levels of 3-monochloropropane-1,2-diol (3-MCPD) in selected processed foods from the Brazilian market. 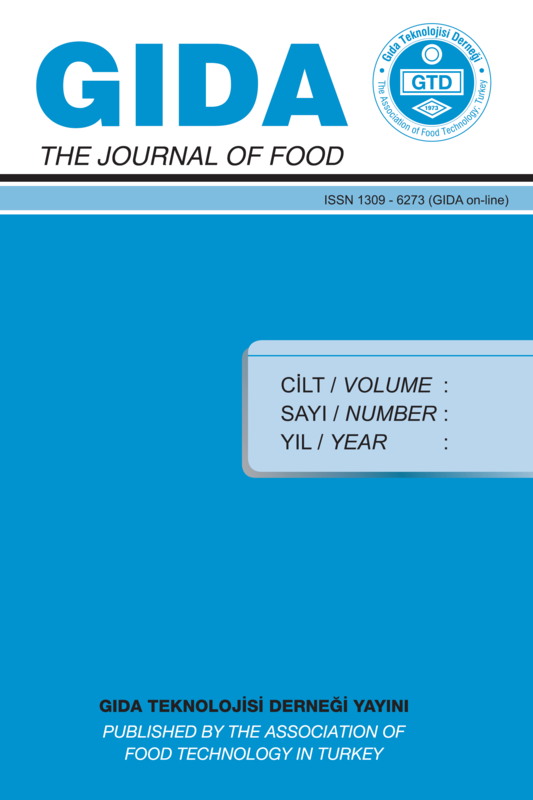 Food Research International, 77: 310–314. Wong, Y.H., Muhamad, H., Abas, F., Lai, O.M., Nyam, K.L., Tan, C.P. (2017b). Effects of temperature and NaCl on the formation of 3-MCPD esters and glycidyl esters in refined, bleached and deodorized palm olein during deep-fat frying of potato chips. Food Chemistry, 219: 126–130. Wöhrlin, F., Fry, H., Lahrssen-Wiederholt, M., Preiß-Weigert, A. (2015). Occurrence of fatty acid esters ofr 3-MCPD, 2-MCPD and glycidol in infant formula. Food Additives and Contaminants: Part A, 32(11): 1810-1822. Zelinkova, Z., Giri, A., Wenzl, T. (2017). Assessment of critical steps of a GC/MS based indirect analytical method for the determination of fatty acid esters of monochloropropanediols (MCPDEs) and of glycidol (GEs). Food Control, 77: 65-75. Zelinkova, Z., Svejkovska, B., Velisek, J., Dolezal, M. (2006). Fatty acid esters of 3-chloropropane 1,2-diol in edible oils. Food Additives and Contaminants, 23(12): 1290-1298. Zhang, H., Jin, P., Zhang, M., Cheong, L-Z., Hu, P., Zhao, Y., Yu, L., Wang, Y., Jiang, Y., Xu, X. (2016). Mitigation of 3-monochloro-1,2-propanediol ester formation by radical scavengers. Journal of Agricultural and Food Chemistry, 64: 5887-5892. Zhang, X., Gao, B., Qin, F., Shi, H., Jiang, Y., Xu, X., (Lucy) Yu, L. (2013). Free radical mediated formation of 3-monochloropropanediol (3-MCPD) fatty acid diesters. Journal of Agricultural and Food Chemistry, 61: 2548-2555.